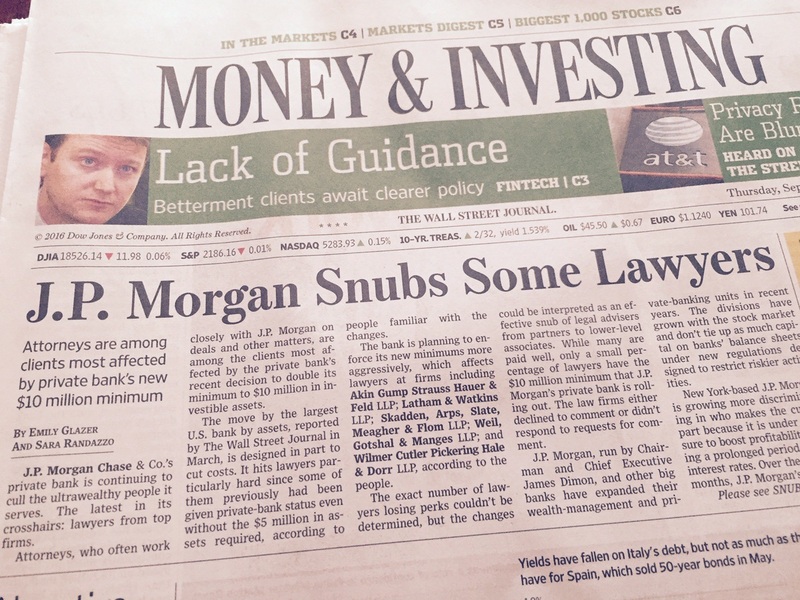 The Wall Street Journal’s article on JP Morgan’s new $10,000,000 cap for accounts in their private banking area. On the surface, this seems like an issue only for the 1%, but philanthropy, of course, is affected substantially by this group. 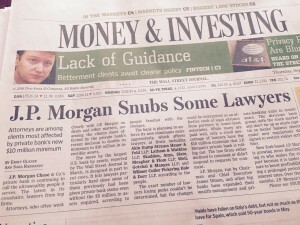 So, their banking issues are our philanthropy issues. And, this particular issue can be leveraged to improve operations and gift administration. Banks Matter. If a donor is nice enough to write a $50 check to your organization on a JP Morgan Private Banking account (look at the middle left of the check, typically, to find the account type), that donor might have easily added a few zeroes to the gift. After all, those account holders are deca-millionaires! Numbers Matter. Have your team check the check number. That nice donor writing check number 35780 likely has substantial cash flow; the average donor will likely write just a few thousand checks in their lifetime (and Millennials may write nearly none at all). Name that Donor. Check accounts held in trust, with “TTEE” listed, and other such naming conventions likely mean that the donor has enough assets to have placed them into a trust. This is a typical move for those who will be affected by probate court upon their death…and, right now, that means having more than $5 million in assets via your estate. Pictures are worth a thousand words. Have the gift team look at what else the check tells us. If there check has puppies and mentions the Humane Society, for example, you know where the donor’s heart is. These tips and tricks should be applied to improve your day-to-day operations. Establish a process whereby gift analysts can forward such findings to the research team or gift officers so you get some added movement on these donors. What other tricks would you suggest to improve gift administration? Your comments on this would be welcomed. Happy fundraising!